Another one bites the dust. And another part of my journey of discovery disappears. Multiple press reports of the closure of the Majestic brand and the Naked Wines takeover. Ugh…wonder where Lay and Wheeler will end up being positioned in all this? I have found myself shopping less and less at Majestic, which probably reflects them losing their way somewhat. Oh geez! Really?!.. This was pretty much where my discovery of wine that wasn’t supermarket run-of-the-mill stuff began! I was there only on Saturday! That’s really really sad to hear! News story is here for anyone interested in more details. Indeed, I am wondering, too. I think this was inevitable the moment Gormley took over. My first thought was also to wonder what they will do with L&W - another culprit in my vinous journey. They lost their way ages ago. I wonder how physical Naked Wines stores will work? “Buy one bottle for £20 or two at £15 each if you sign up to be an angel”? Naked does a lot of Laithwaites style ‘brand-to-target’ exclusive wines that are pretty uninspiring to say the least. So this strategy doesn’t seem to be targeted at knowledgeable wine drinkers. 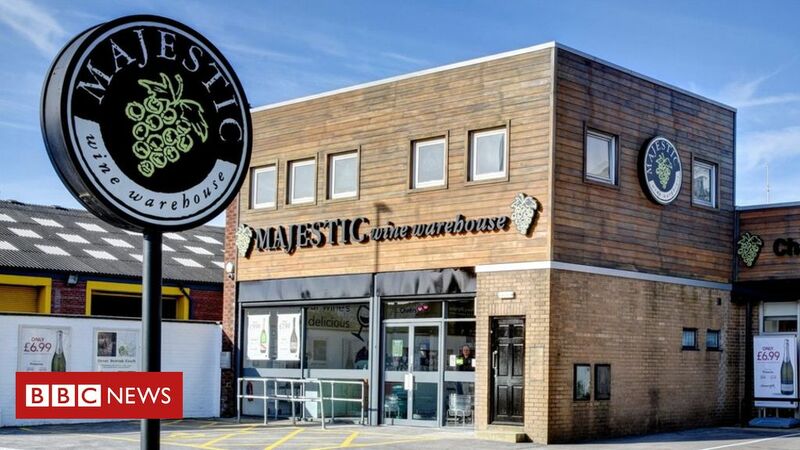 It’s a shame about Majestic but I think it has ended up stuck between market segments, very few people walk into a shop on a whim and either buy six bottles of wine or anything over £20 when there are so many choices on the internet. I primarily use them as somewhere temperature controlled to get drawdowns from L&W reserves delivered. My guess is L&W will be left alone, they took a big writedown on a Bordeaux vintage not long ago but as long as there are no more horrors on the stock list they have the most modern and flexible reserves and broking service of all the fine wine merchants and I know quite a few community members hold their non-TWS reserves with them for this reason. I agree that L&W offer a good service. However I’ve noticed that it is taking longer and longer for L&W to land stock in my reserves - the approach is erratic and haphazard; might be the way they work with Vinotheque which I don’t really understand. Having said that, L&W customer care (sic) is not bad and always responsive and they are not greedy. You may have read that we are announcing some major reorganisations later this year and the merging of the Majestic and Naked businesses. I wanted to let you know the big picture behind this – and what it really means for you, our customer. Firstly it is important to tell you what isn’t changing. We will still be a face to face wine retailer, staffed by friendly, knowledgeable people who take great pride in helping you find wines you’re going to love. The stores may evolve, the name may move on, but what makes us special won’t be going anywhere. You can still order online, through your branch or pop in and see us. It’s still us, with your favourite bottle on hand. That being said… What is changing? The truth is the way you buy wine has moved on, and it’s time we did too. Shopping for wine is incredibly different to how it was in the 1980s (when Majestic first began). So on the one hand we’re getting back to our roots, what made Majestic great back in the day, and we’re merging that with what wine lovers like you enjoy at Naked. It’s about bringing you the best of both companies; the experience, wines and people of Majestic with the ethos, community and support for independent winemakers of Naked. That means supporting real winemakers by selling real wines. We’re really excited about this. More tastings, more personalised service and more ways to find your next favourite wine. A specialist wine range – like the one which made Majestic famous in the first place. Finally, we know you love wine, but don’t always love shopping for wine. So we want to make it easier for you to find wines that you will love – and let you have them when you want. I do the same. I’ve used 3 or 4 stores in London to do this and always popped in to them early evening and each time I’ve been the only customer (and then not really a customer). It’s amazing they have survived as long as they have in a post Aldi/Lidl world. My god! have they used every possible cliché in the book, or what? Management speak if I ever saw one! Probably the influence of the CEO. I can no longer read anything sent by L&W either as its all just gush. This is what a beat combo does when it runs out of ideas but still has bills to pay. some of the charge possibly extends to the revaluation of the business due to losing a brand, that one assume has a value on the books ? "That means supporting real winemakers by selling real wines. We’re really excited about this." I guess until now they didn’t sell ‘real wine’. Whatever that means! We’re still working on the final vision – and would love to hear your views. This has all come about because of what you have told us you want to see. It is reassuring (refreshing even) that they are doing it without a final vision, worked well for Brexit. Also if we have already told them, why do they ask our view again? This is their classic Angel spiel. They’ll be forced to ram it down the throats of every poor soul who wonders into the shop. Probably a combination of redundancy costs, lease costs, stock writedowns and goodwill/brand writedown.